The site sits at the north-western edge of Brighton and Hove, between the A27 and A2038. 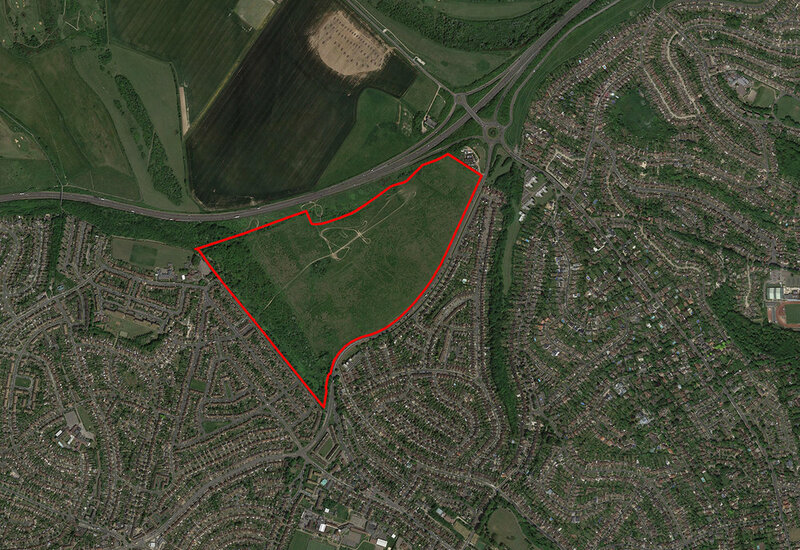 It is approximately 5km (3.2 miles) from Brighton city centre and is 40 hectares (99 acres) in size. The site is currently remnant land from what was a downland farm. It is not accessible to the public, with the exception of the Site of Nature Conservation Importance (SNCI) on the western embankment, which is statutory open access land and will be retained/enhanced. The site is identified for development in Brighton and Hove’s City Plan Part One. It is the largest greenfield development site in the City and represents a major opportunity to create new family and affordable homes, alongside modern office space and community facilities.